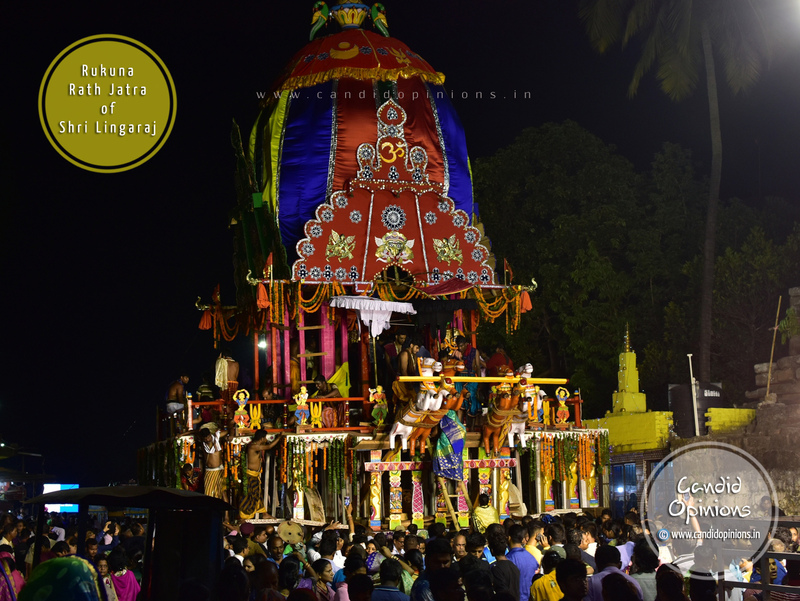 On the 13th of April, 2019 being the auspicious Ashokastami, the Rukuna Ratha Jatra of Shri Lingaraj began in Bhubaneswar, starting from the Lingaraj Temple. 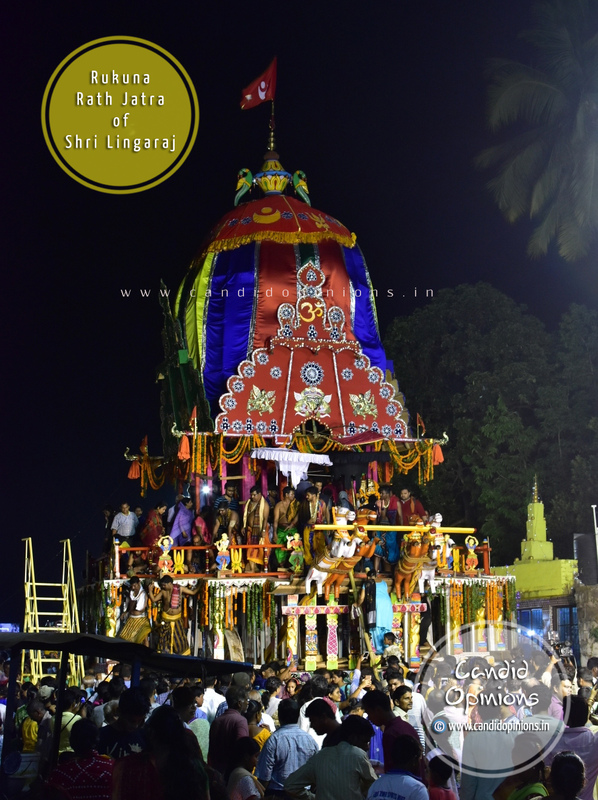 As per the custom, every year on Ashokastami, the "Chalanti Pratimas" (representative movable idols of the three deities of Lingaraj Temple - Shri Chandrasekhar, Devi Rukmini and Shri Ananta Basudev - commence their four-day journey on a chariot to the Rameswar temple (or "Gundicha Mandira"). 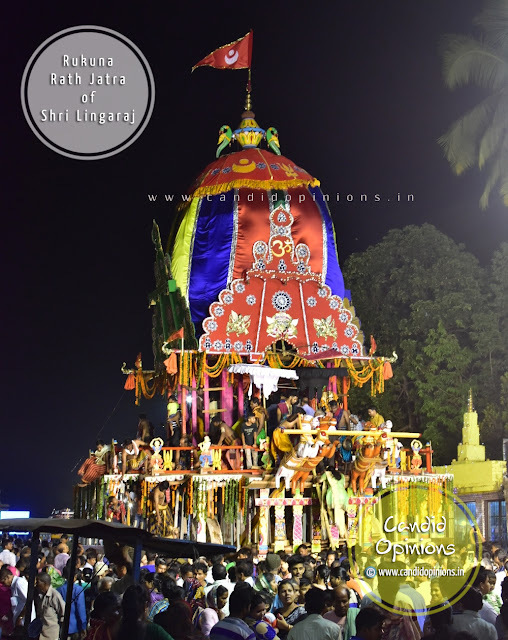 Then on the fifth day, they return back to their abode but what makes the Rukuna Rath Yatra unique is that during their return journey, the chariot doesn't take a turn, instead is pulled backwards! 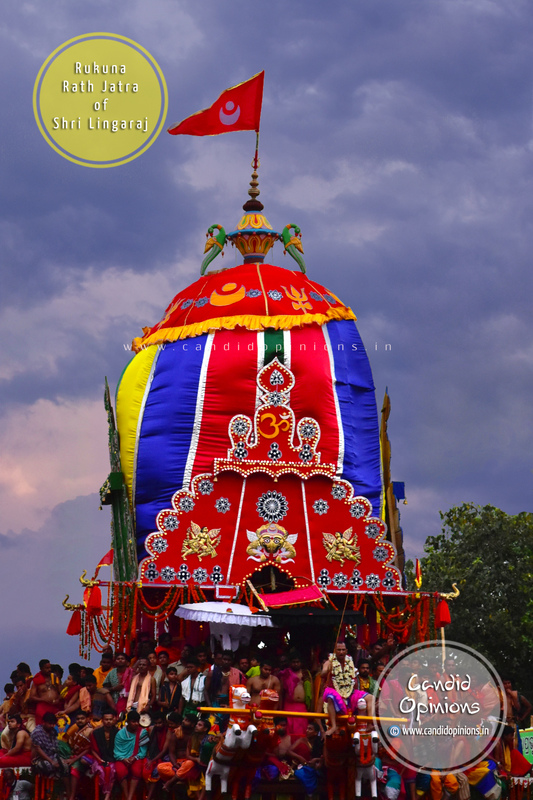 The Rukuna Rath Jatra precedes the Puri Rath Jatra of Lord Jagannath.